Vodafone Essar the Second largest Telecom Operator in India is Feared to lose its GPRS Subscribers due to its negligence and having introduced a very ‘Untrue’ GPRS Plan. To Recap, Vodafone didn’t have any GPRS pack from long time, and recently came with an Unlimited GPRS Pack for a Bonus Card of 95 in Some States and Rs 98 in others where it Offered Unlimited GPRS for 30 days (with 2GB limit as a fair Usage Policy) . Vodafone though attracted lot of users with its unlimited pack, It Failed Big Time.Getting Recharged for Vodafone’s 95 Bonus Card is nothing but activating ‘Vodafone Live’ in your Handset.Where The Subscriber has to Use “Vodafone Live” as the access point. Let us List one by one, what Vodafone Fails to deliver in its 95 GPRS Pack. Cannot Access Emails, No Mailboxes, Push Mails with Vodafone Live. With Vodafone Live, one cannot configure mailboxes, use push mails and get attachments. The handsets which are manufactured today mainly focus on Email integration.What if operators fail to deliver the required protocols to perform basic operations like checking Mails? Technically Speaking, Vodafone Live doesn’t support protocols like IMAP and POP3 which are necessary for Emails to work. On the Other Hand, Operators like Airtel and Tata DOCOMO having a Cheaper Plans than Vodafone supports mailboxes, push mails and one could easily get the attachments. Solution by Customer Care: Activate Vodafone Mobile Connect by Recharging for Rs 200 to Avail 100 Mb Free 10p/10kb there after. Cannot Run Third Party Applications with Vodafone Live. One of the main reasons why people activate GPRS Plans is to Download and use the wide variety of applications if you are a Vodafone Customer with Vodafone Live! GPRS Pack, forget about testing applications on your phone. Vodafone Live supports only Limited number of basic applications and fails to support some of the very popular IM clients like Nimbuzz, Fring, eBuddy etc many Apps return error messages like “Connection Lost” or “Network Time Out”. Reason: Vodafone Live! have a Limited Socket Connection for Apps. On the Other Hand, the other telecos similar GPRS plans runs every Apps like a Charm. Cannot Use Internet on PC/Laptop with Vodafone Live. 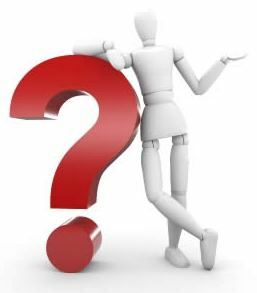 The most demanding feature asked by every customer Can I Connect Mobile to My Laptop/PC and use Internet? If you are using Vodafone Live! you need not even think of connecting your Mobile to PC because, Vodafone Live doesn’t support usage of Internet over PC. On the other hand, Airtel, Tata Docomo and other Operators gives a Full Support to access ‘True’ Internet on Phone as well as on PC/Laptop without any havoc. To summarize everything, Vodafone Makes no sense in suggesting its users to switch to Vodafone Mobile Connect Paying Hefty 199Rs for 30 days just to activate its service and to avail a benefit of 100 Mb free usage while its very own Vodafone Live of just Rs95 offers 2GB of Free Usage for 30 days with three problems listed above. The customer is very much puzzled in a situation like this and is forced to change to the other operator some of the users are eagerly waiting for Mobile Number Portability(MNP) to come soon in India so that they can Retain their number and can migrate to other operators easily. We found a very hot thread on Vodafone’s Official Page’s Discussion Board asking Vodafone about this Issue. 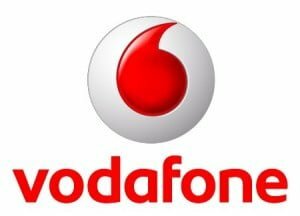 Vodafone’s 95 Pack of unlimited GPRS is released just for namesake to compete with other operators one cannot use the Vodafone Live connection to connect to PC and access Internet, and cannot Run some of the third party applications. More over the very basic functionality of checking mails, configuring mailboxes is disabled in Vodafone Live! One gets a default advice from customer care to switch to “Vodafone Mobile Connect” paying hefty sum while other operators offer everything in a Much Much lower Tariff than Vodafone. I purchased a Samsung Galaxy Ace S5830i and activated Vodafone Live!..I have an old postpaid connection. But the problem is that I am unable to access any high speed Android app..let alone Google Play..not even e-mail. My friends keep telling me I need Vodafone Mobile Connect. My question is that will I be able to access high speed apps through any other connection or through Vodafone Live itself?